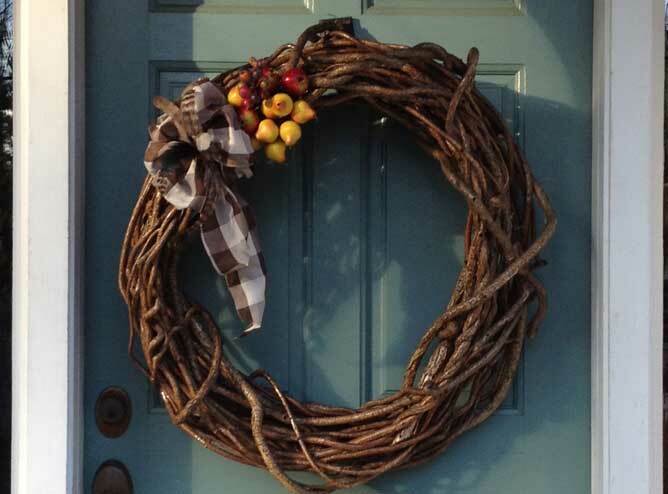 19″ Diameter Handmade Small Bittersweet Wreath. Beautiful and one-of-a-kind. I make these these beautiful, one of a kind, handmade bittersweet wreaths like I build my furniture. They will last many years and are put together with rust proof screws and finished with two coats of marine spar varnish to protect them from the elements. They come with or without decorations and are priced accordingly. For the winter holidays I decorate the wreaths with berries (never bittersweet berries), festive hand made bows, imitation pears or apples, feathers, antlers and even horse bridles. During the spring season I use apple blossoms, and in summer white, pink and purple flowers look beautiful. It’s fun at Halloween to entwine lots of rubber snakes in the wreath. 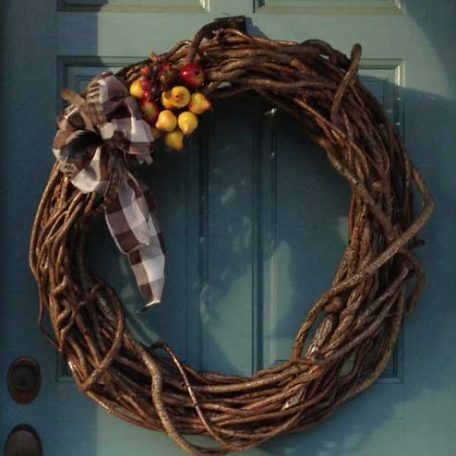 You can leave the wreaths on your door all year long and simply swap out the decor as the season or event warrants. 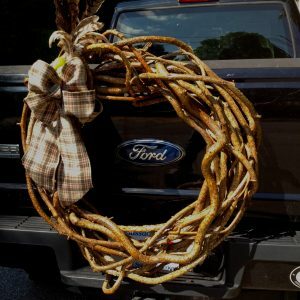 Beautiful handmade bittersweet wreath for your car or truck. 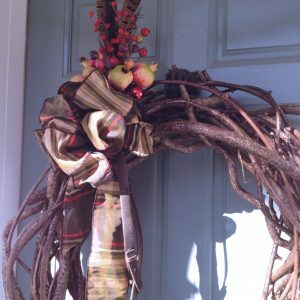 27″diameter Handmade Bittersweet Wreath. Beautiful and unique.